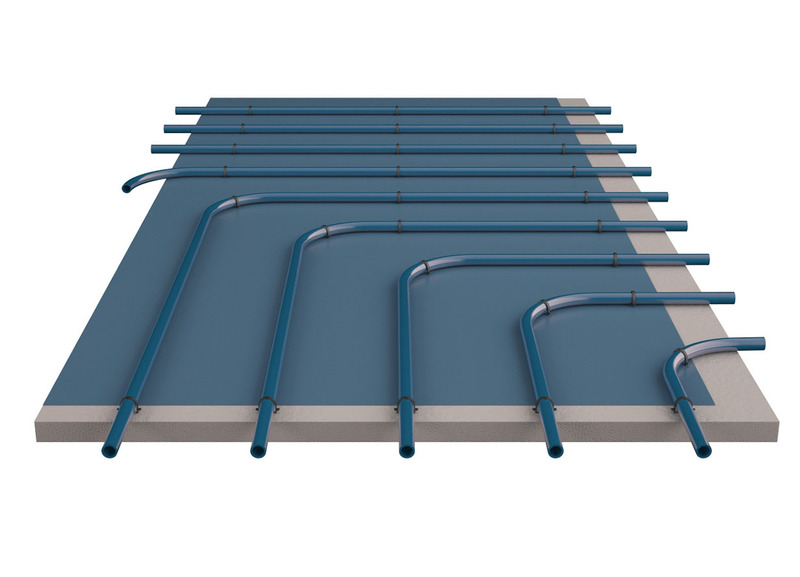 Pipe protector and easy to lay in-screed underfloor heating system. The ScreedPlate system has been purposely designed to avoid using fixings and staples in the floor. ScreedPlates have castellations in the panel at set centres to provide a consistent/even guide for the spacing and good grip for the pipe, as well as providing protection for the pipe from site traffic. The panel is designed to allow the pipe to easily change direction and also provide a simple method of installation where the pipe approaches the manifold. This system is available with a 10mm integrated insulation layer. This version provides a reduction in required height as opposed to insulation and staples on upper floors and existing insulated floors. 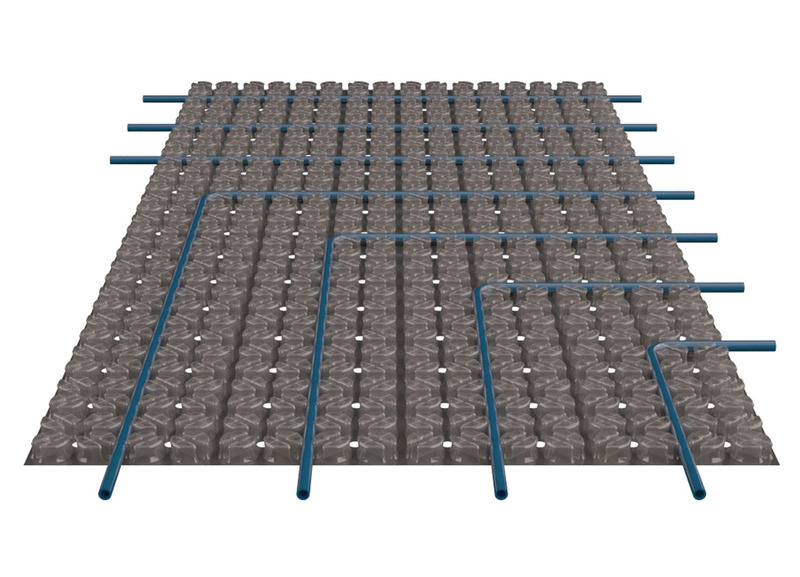 ScreedPlate can be installed over any sub-floor. 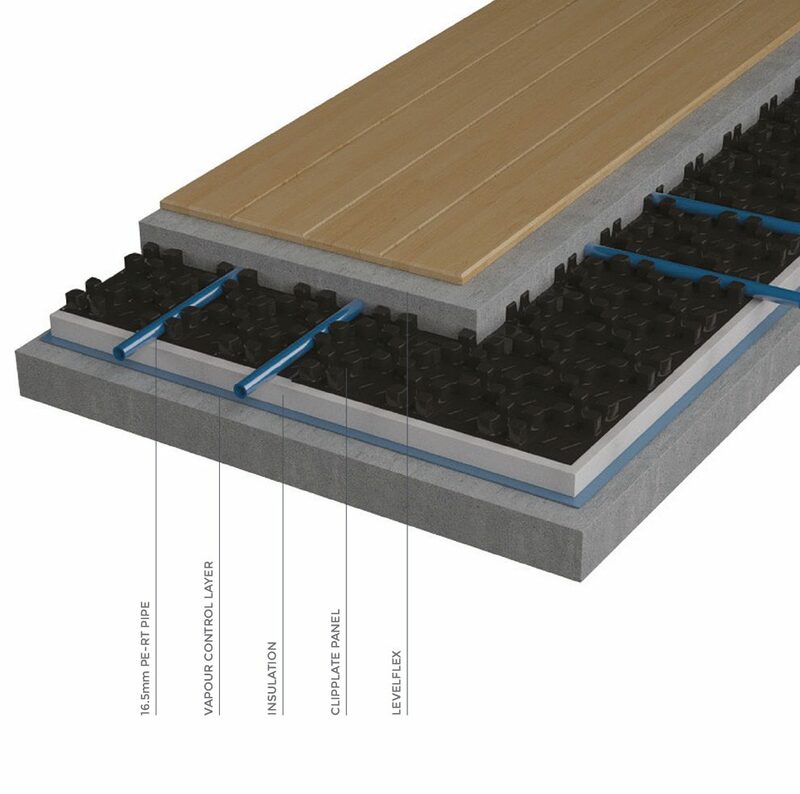 Where floor build-up is limited, ScreedPlates 11 can be used which features integrated 10mm EPS provides some resistance when the product is laid over an insulated floor. The panel is designed to allow pipes to be installed at spacings as close as 50mm and at 45° & 90° bends, providing additional flexibility. Looking to use ScreedPlate in your next project? Based on 16.5mm PE-RT pipe at 150mm centres with 65mm sand/cement screed laid over. Air Temperature = 20°C. 0.15 m²K/W = 1.5 TOG. Heat outputs are dependent on the water temperature, floor construction, system dimensioning, floor finish & design conditions. Contact us for advice and information.